You can find all of your Pesach preparation and Pesach information conveniently here on our website. From pre-Pesach cleaning and selling your chametz to our special Community Pesach Seders and Pesach services. 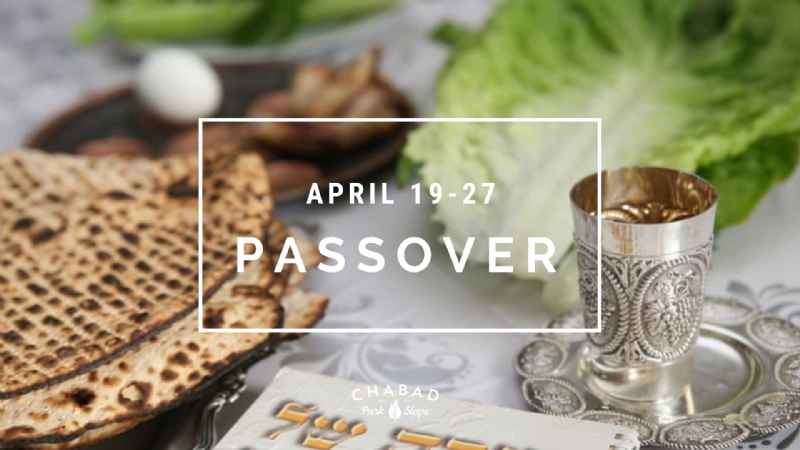 Chabad of Park Slope wishes you a Chag Pesach Kasher v'Sameach (a Kosher and joyous Passover).